Last updated 13 March 2019 . By Georgia Evans. Despite living in London for almost four years, Marylebone is not an area of the city that I’ve ever really explored. Having been a student and a ‘young professional’, let’s just say I’ve never really had a reason to, until now. 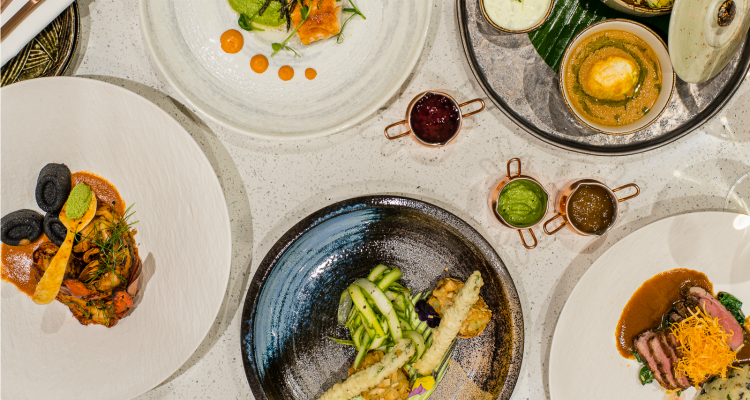 When I heard the all-new South Indian concept Ooty was launching, with former Michelin-starred chef Manmeert Singh Bali at the helm, I knew I had to try it. Now it must be said, I don’t think we were the usual clientele for such an upscale establishment, but we were made to feel like regulars by the incredibly welcoming and attentive staff. This, combined with the welcome tour of the main restaurant, beautiful colonial-style bar downstairs and sneak peek at the new casual dining space, made us feel right at home. I couldn't help but wish it actually was our home as we settled into a plush green booth with a marble topped table, surrounded by botanical wallpaper and wall of foliage opposite. The restaurant's slick interiors are inspired by the South Indian scenery. To begin with, we were presented with chilled jasmine tea and a warm lentil rasam to cleanse our palette with the poppadoms. The rasam was delicately seasoned, with a slight heat behind it that gave a very positive indication of what was yet to come. To drink, I opted for the Pom Royal (£12) with gold dust sprinkled into it (I was feeling fancy) and was a beautifully sweet refresher to have with starters. 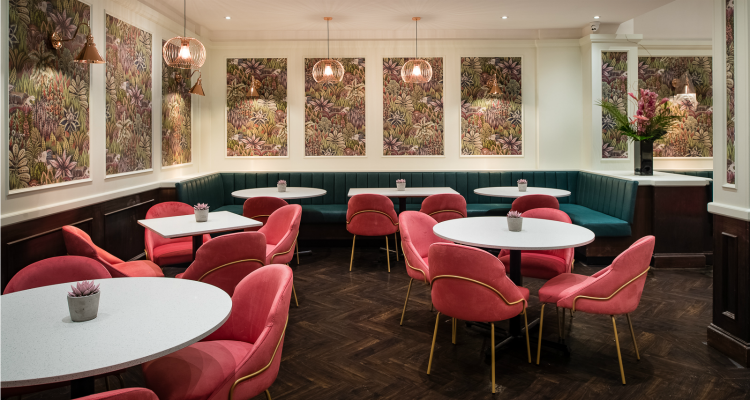 Ooty have clearly been perfecting their vegan menu, offering an ample selection of equally delicious-sounding options, which made it very difficult to choose. After eventually settling on the almond pea cakes (£12), I was blown away with the complexity yet lightness of the dish as the nutty pea cakes enhanced the freshness of the asparagus shavings, counterbalanced by the delicate spice of the wasabi chutney. Ooty certainly know how to whip up a beautiful dish. This was followed by the lime leaf tofu and samphire pulao (£18) with vegetable thoran (£8). The dishes, individually and when combined, were an incredible harmony of flavours. Seasoned to perfection, and not overpoweringly spicy, the creaminess of the tofu had an underlying heat that was made even more heavenly when mixed with the subtle garlic flavour of the crunchy greens. Serving exquisitely-seasoned, fresh dishes, Ooty showcases the captivating flavours of South India with true grace. Keep an eye out, this restaurant has great things to come.